Posted on November 21, 2011 October 16, 2016 , in HIAB Crane. Mexican national oil company PEMEX (Petróleos Mexicanos) recently ordered 80 HIAB loader cranes from Cargotec. PEMEX has an existing fleet of more than 500 HIAB cranes, and a 20-year association with Cargotec. 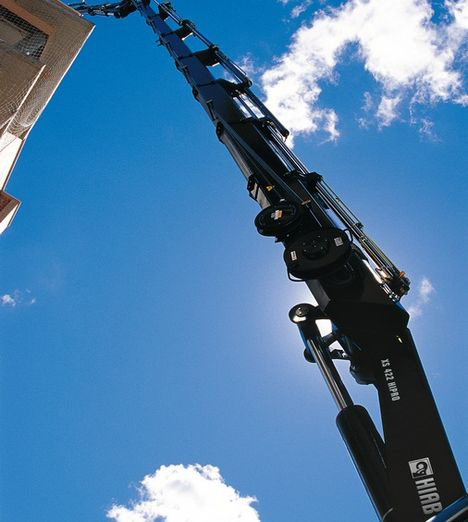 This USD 5 million dollar order from the world’s second largest non-publicly listed company is yet another testament to the high-quality and superior performance of HIAB cranes. MD of Cargotec Mexico Rafael Llamas said that PEMEX’s decision to add to its HIAB fleet was based on the excellent quality of HIAB equipment and top-notch service levels offered by Cargotec. The smallest of the lot, the XS 144 B-3 offers a loading capacity of 131kNm while the powerful 477 E-6 boasts of upto 390kNm. A versatile crane that can be used for a large range of handling and loading tasks, the 477 E-6 has an excellent outreach of over 21m. While 54 of the HIAB loader cranes feature the brand’s CLX control system, the other 26 XS 477 E-6 cranes are fitted with the HIAB Duo system.